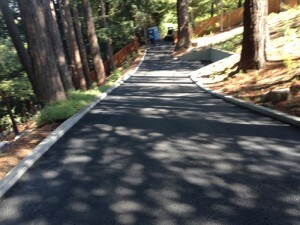 Asphalt Paving | Pimentel Paving Inc. Image source: Pimentel Paving Inc. 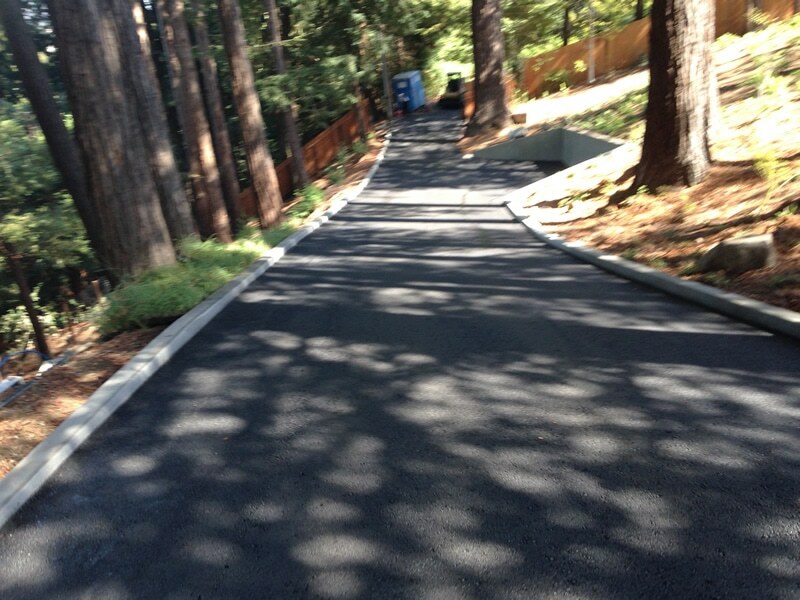 If you’re looking for the lowest cost solution for a road, driveway or parking lot you’ll want to consider standard black asphalt. Until recently, there weren’t many options beyond the standard black color and texture. But now there are tints that can be added at the end of the paving process, sealants, coatings, and coloring that can be added during mixing. Asphalt, or bitumen, is a sticky, black and highly viscous liquid or semi-solid form of petroleum. Its primary use is in road construction as the glue or binder that is mixed with aggregate particles to create asphalt concrete. Asphalt is used in the majority of pavement projects because it is economical, durable, and easy to repair. It is safer than some alternatives because it provides skid resistance and shows road markings well, especially in inclement weather. If you are researching pavement options, read more here about the benefits of asphalt. Did you know that asphalt can be recycled? Recycling of this material protects the environment by reducing quarrying, mining and oil consumption. Recycling reduces consumption of fuel, machinery, transportation and labor as well as protecting the scarce natural resources of aggregate and asphalt. Ultimately this keeps many millions of tons of collected material out of our landfills. At Pimentel Paving Inc. our practices support the recycling and reuse of asphalt. We offer many solutions to fit your unique paving situation. We’ve chosen these particular products because we feel confident using them to provide the best possible quality for our customers. StreetBond is a coating for your asphalt or concrete surfaces to protect the coloration and durability. Take a look at our asphalt stamping page for information on options that can make your asphalt look like individual pavers. Emulsion seal is a composite oil and sand mixture that we can apply to restore paved surfaces. We also provide alternative, petroleum-free paving methods for people who prefer an environmentally-friendly pavement solution that blends seamlessly with the surrounding landscape. See Natural Asphalt Alternatives. Pimentel Paving Inc. can help you plan your paving project, from roads to driveways or parking lots. We can help you envision an overall look and feel that will complement your surroundings and coordinate with theme and color. We’ve been paving throughout Sonoma, Napa, and Marin Counties for over 25 years, and we have a good feel for what solution will work nicely for our customers’ unique landscapes. We are happy to help home and business owners find the right solution to fit their pavement needs. Call us today for a planning session to beautify your property and save you money.